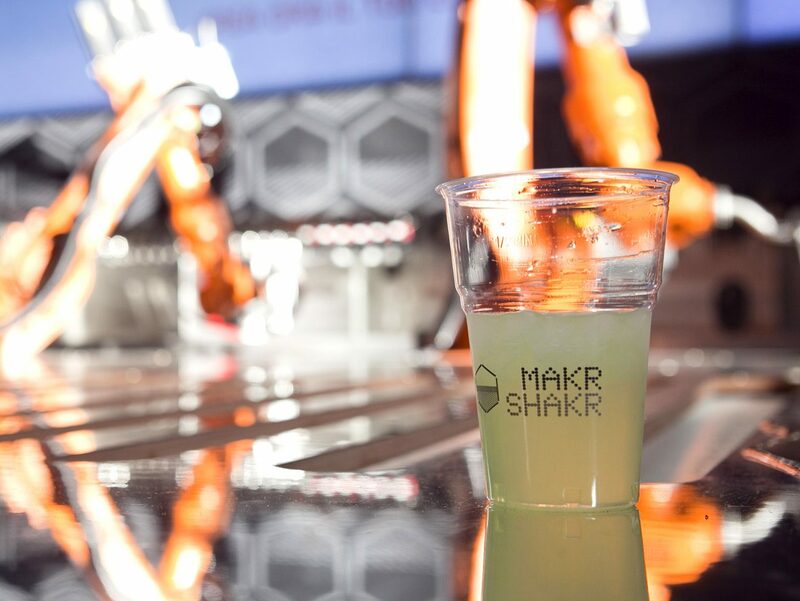 Makr Shakr is the world’s first robotic bar system, enabling users to create cocktail recipes that are assembled and served by robotic arms. 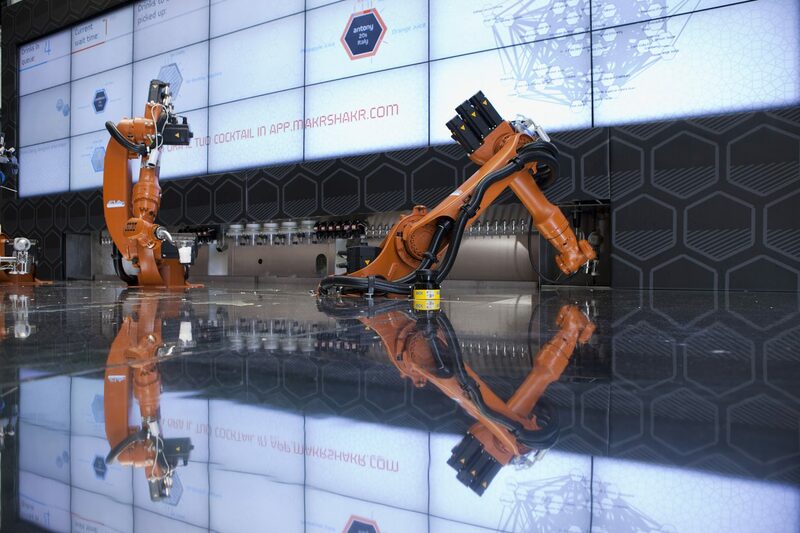 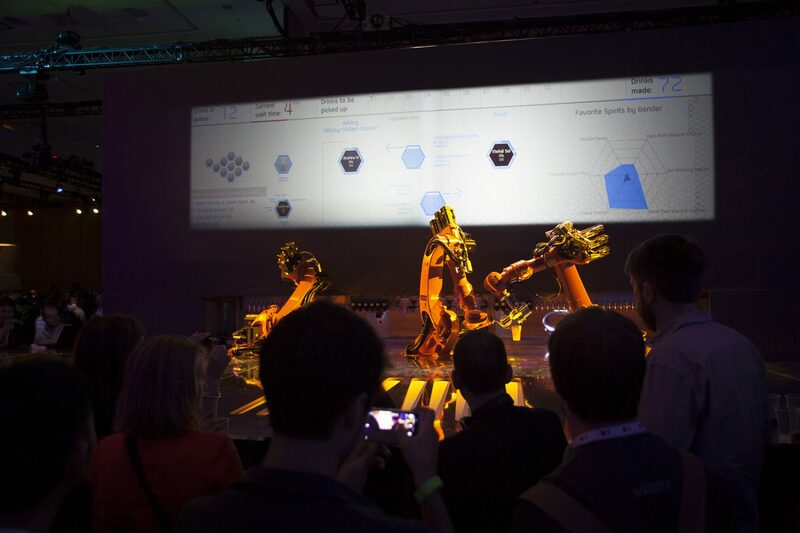 A mobile web app enables customers to order drinks, and a data visualization displayed on a video wall behind the robots shows whose drink is being prepared. 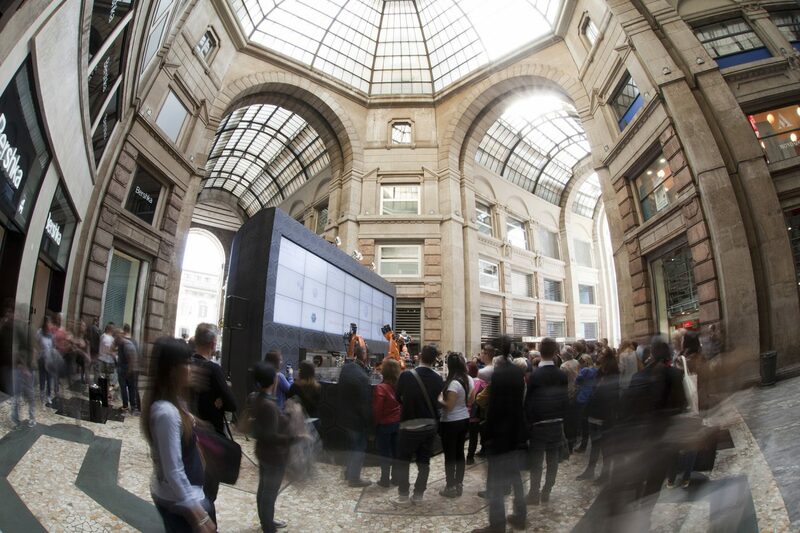 The bar appeared at Milan Design Week and Google I/O.